In 2015 the Highland Folk Museum was awarded Recognised status for their Entire Holdings. 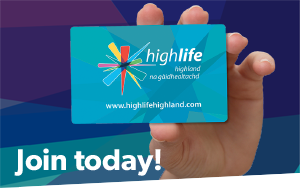 This scheme, which is administrated through Museums Galleries Scotland, recognises and invests in outstanding and irreplaceable collections of national significance that are held in non-national museums and galleries in Scotland. 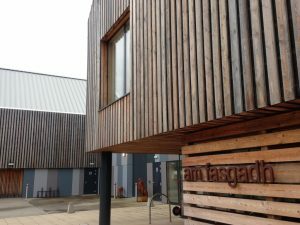 In early 2017 the Highland Folk Museum was awarded funding from the MGS Recognition Fund to work on the documentation, research and conservation of objects including their vernacular organic collections. This covers objects that are made from naturally-occurring materials such as wood and horn that were made and used in the local area. These objects have been prioritised as they are fragile and vulnerable. 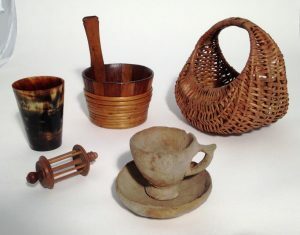 The first part of the collection to be worked on will be the Baskets and Straw Work, followed by the Textile Craft Hand Tool collection, Horn Work, Treen (small wooden objects) and Barvas Ware (ceramics). 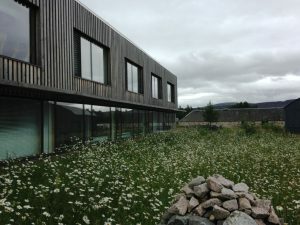 The collections moved from their previous store in Kingussie to their purpose built store Am Fasgadh at the Newtonmore site in 2013 and this project is the next stage in improving how we care for and use these rich and unique collections of Highland life. 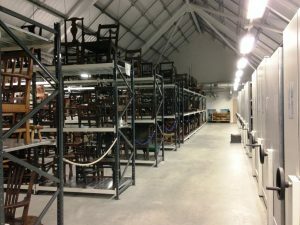 As well as providing the objects with the care, attention and specialist knowledge they deserve in order to physically preserve them for future generations, the project will also bring together all of the information that exists about the objects onto one database, so that the collection can be more easily accessed and researched by staff and visitors.